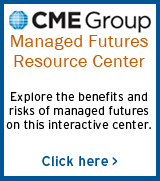 Welcome to GCC Asset Management, Inc.
Where Futures Traders Come to Invest in Managed Futures. GCC Asset Management, Inc. specializes in offering professional managed futures accounts from our recommended Commodity Trading Advisors (CTAs). » Secure, reliable clearing and technological backbone provided by ADM Investor Services, Inc. If you have any questions, or wish to find out more about opening an account, please call us at 800-809-6642 or email us today at info@gccassetmanagement.com. IN SOME CASES, MANAGED COMMODITY ACCOUNTS ARE SUBJECT TO SUBSTANTIAL CHARGES FOR MANAGEMENT AND ADVISORY FEES. IT MAY BE NECESSARY FOR THOSE ACCOUNTS THAT ARE SUBJECT TO THESE CHARGES TO MAKE SUBSTANTIAL TRADING PROFITS TO AVOID DEPLETION OR EXHAUSTION OF THEIR ASSETS. THE DISCLOSURE DOCUMENT CONTAINS A COMPLETE DESCRIPTION OF THE PRINCIPAL RISK FACTORS AND EACH FEE TO BE CHARGED TO YOUR ACCOUNT BY THE COMMODITY TRADING ADVISOR ("CTA"). THE REGULATIONS OF THE COMMODITY FUTURES TRADING COMMISSION ("CFTC") REQUIRE THAT PROSPECTIVE CUSTOMERS OF A CTA RECEIVE A DISCLOSURE DOCUMENT WHEN THEY ARE SOLICITED TO ENTER INTO AN AGREEMENT WHEREBY THE CTA WILL DIRECT OR GUIDE THE CLIENT'S COMMODITY INTEREST TRADING AND THAT CERTAIN RISK FACTORS BE HIGHLIGHTED. THIS DOCUMENT IS READILY ACCESSIBLE AT THIS SITE. THIS BRIEF STATEMENT CANNOT DISCLOSE ALL OF THE RISKS AND OTHER SIGNIFICANT ASPECTS OF THE COMMODITY MARKETS. THEREFORE, YOU SHOULD PROCEED DIRECTLY TO THE DISCLOSURE DOCUMENT AND STUDY IT CAREFULLY TO DETERMINE WHETHER SUCH TRADING IS APPROPRIATE FOR YOU IN LIGHT OF YOUR FINANCIAL CONDITION. YOU ARE ENCOURAGED TO ACCESS THE DISCLOSURE DOCUMENT BY CLICKING THE LINKS PROVIDED UNDER EACH OF THE RESPECTIVE CTAS. YOU WILL NOT INCUR ANY ADDITIONAL CHARGES BY ACCESSING THE DISCLOSURE DOCUMENT. YOU MAY ALSO REQUEST DELIVERY OF A HARD COPY OF THE DISCLOSURE DOCUMENT, WHICH WILL ALSO BE PROVIDED TO YOU AT NO ADDITIONAL COST. THE CFTC HAS NOT PASSED UPON THE MERITS OF PARTICIPATING IN ANY OF THESE TRADING PROGRAMS NOR ON THE ADEQUACY OR ACCURACY OF ANY OF THESE DISCLOSURE DOCUMENTS.